Tony DiBenedetto is chairman and CEO of Tribridge, a national technology services firm specializing in business applications and cloud solutions. 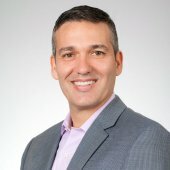 The recipient of numerous leadership awards, including the Ernst & Young Florida Entrepreneur of the Year Award in Technology, DiBenedetto has dedicated his entire career to the areas of business innovation, customer advocacy, and servant leadership. Has Salesforce Jumped the Shark? Are You Ready to Take on the Skills Gap?